Plasterboard is 100% recyclable. 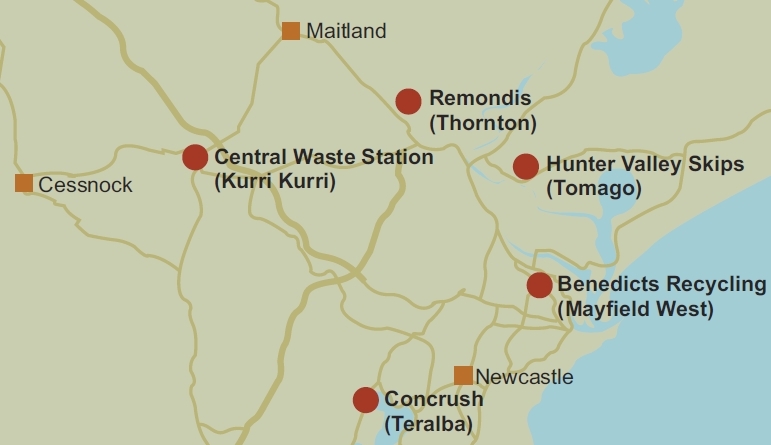 In the Newcastle, Hunter Valley and Central Coast regions there have been limited options for generators of plasterboard waste, or for collectors of mixed C&D waste streams, to recycle this material. Plasterboard is a costly and wasted resource when sent to landfill. constructions. The majority of this material still going to landfill. Add in the volume of waste plasterboard generated from demolition, commercial fit-out, shop fit-out, major infrastructure and redevelopment projects, and the total tonnage that could be diverted from landfill is significantly higher. plasterboard. As part of the research, Cross Connections identified that no local aggregation or recovery infrastructure/facilities existed in the Newcastle, Hunter Valley and Central Coast regions. A barrier to recovery has been the perceived cost, time and viability of separating, collecting and transporting plasterboard to facilities like Regyp. In addition to the Newcastle and Hunter Valley facilities, generators on the Central Coast now have a new local option with a waste management business providing separate bins for plasterboard collection. Another option being explored is the on-site separation and collection of plasterboard material in bulk bags. This method of collection has been successful in both Melbourne and Sydney and it is envisaged this could provide a viable cost alternative for those wishing to source separate without the additional bin hire cost. Improved data on wastage rates to assist in resource efficiency assessments. Call 0423 943 100 if you are a generator, waste management or skip bin company still collecting mixed waste. Download the Case Study in print PDF format with all credits and additional information.